They notoriously keep their home life together under wraps. But George and Amal Clooney were spotted leaving the Sunset Tower Hotel in West Hollywood following a romantic meal for two on Thursday evening. 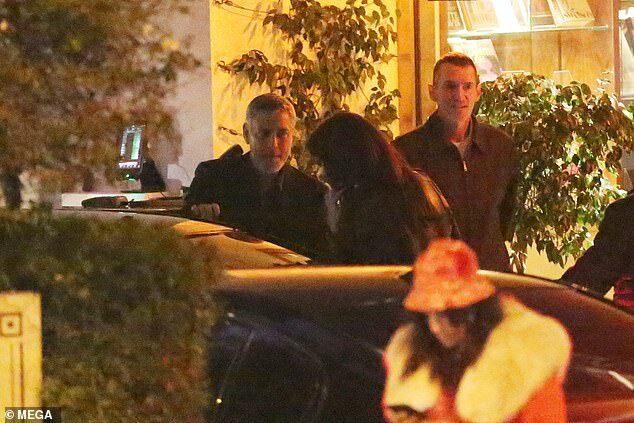 The 57-year-old actor left the restaurant with his human rights lawyer wife and hopped into a waiting car together. George looked dapper wearing a black shirt, showcasing his salt 'n' pepper stubble and hair as he led the way to the taxi in front of Amal. Meanwhile, Amal donned a black leather jacket, which she slung over her shoulders to keep the chill off in the cooler evening climes. The doting parents appeared to be enjoying a date night together, as their twin children Alexander and Ella, both one, seemed to be absent from the evening. Before Christmas George introduced himself at Variety's Power of Women event as 'Amal's husband' before delivering an emotional speech ahead of presenting the night's award to Parkland shooting survivor Emma Gonzalez. The debonair actor's better half was across the country at the time, delivering the Keynote speech at The Pennsylvania Conference for Women. Clooney, 57, took the stage in a grey suit at the Beverly Wilshire Four Seasons Hotel in Beverly Hills following 2017's funny 'it' girl Tiffany Haddish. 'You know, I'm 57 years old and I know better than following Tiffany Haddish.' the Oscar winner joked. He then went on to introduce himself in the most appropriate way, considering the crowd. 'Hi I'm George, I'm Amal Clooney's husband,' he quipped. Who's the lady in the hat? Is that Amal too? 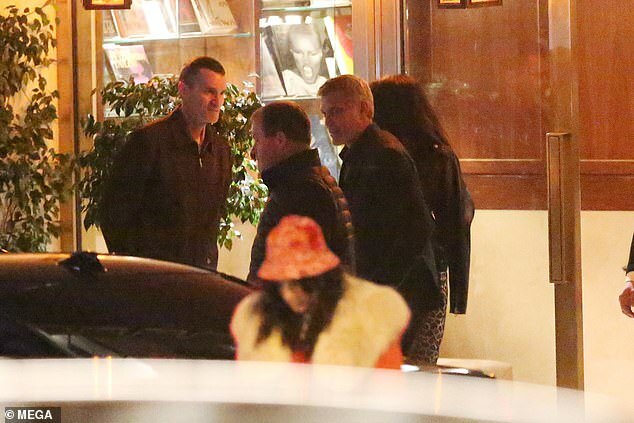 The lady in the hat is not with them George and Amal are getting into the car. The woman is walking a way. How could it be Amal if you can see her next to George getting into the car? 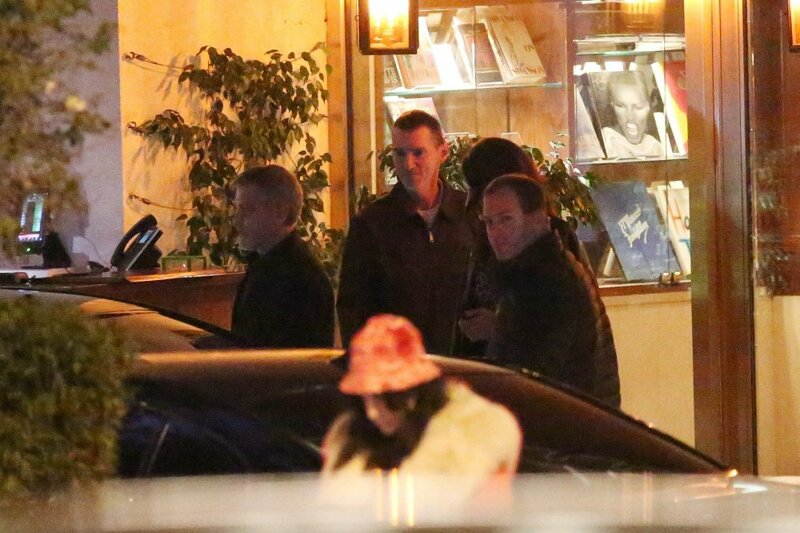 I thought she may be another Amal who dined with them. I just see Amal getting in the taxi. George is standing outside the taxi. Maybe we will get more pictures with both of them in the taxi. George must have some work to do in Los Angeles and in March he will speak at the Work Human event. I wonder if Amal will be a visiting professor this spring? annemarie wrote: George must have some work to do in Los Angeles and in March he will speak at the Work Human event. Or, maybe the living separate lives stories are true. How about just living their lives the way they have since we knew they were a couple. George has said they plan their schedules so they can work and be together. I don't think Amal is into sitting around doing nothing she can work while he does and they simply fly back and forth to see each other. Is this just wishful thinking, Ladybug? Annemarie - you're right about Nashville (not a million miles from Augusta of course), but they're both back in the UK before that - they're collecting an award in Edinburgh. In any case I well remember George saying they are never more than a week apart. party animal - not! wrote: Is this just wishful thinking, Ladybug? I hope only the best for Amal Clooney and her husband Actor George Clooney. One of the blogs claims George Clooney and Amal Clooney’s recent romantic dinner came amid so-called “marriage problems.” The blog, which frequently alleges the happy spouses are getting a divorce, is just trying to cover its tracks. Gossip Cop can set the record straight. 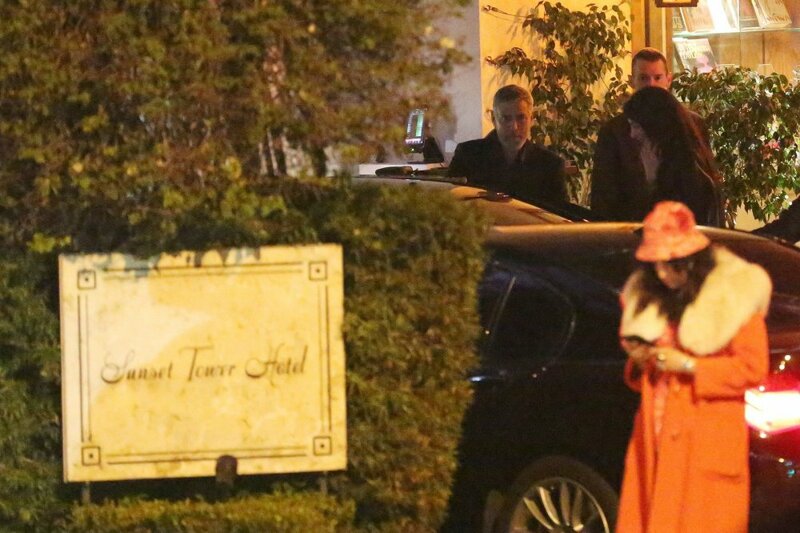 On Thursday night, the actor and the human rights lawyer were spotted on a date night at the Sunset Tower Hotel in West Hollywood. RadarOnline, which has spent a lot of time claiming the couple’s marriage is ending, still refuses to acknowledge that the spouses were never having problems. Instead, the website is twisting the situation to make it seem as if the two were “working out their marriage troubles” during their outing. 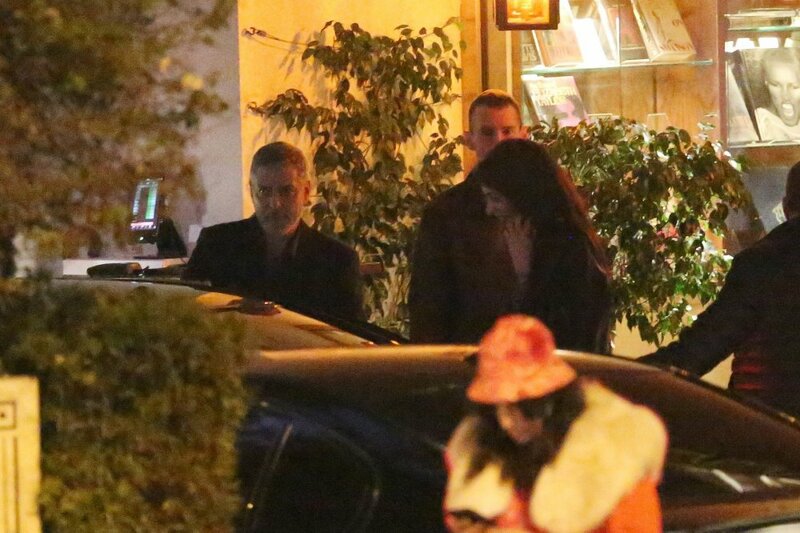 The Clooneys aren’t headed for a divorce, and their most recent romantic outing makes that even more clear. The blog is simply trying to avoid having to admit it got the story wrong by insisting the couple went on a date night to work out their issues. That’s not the case. 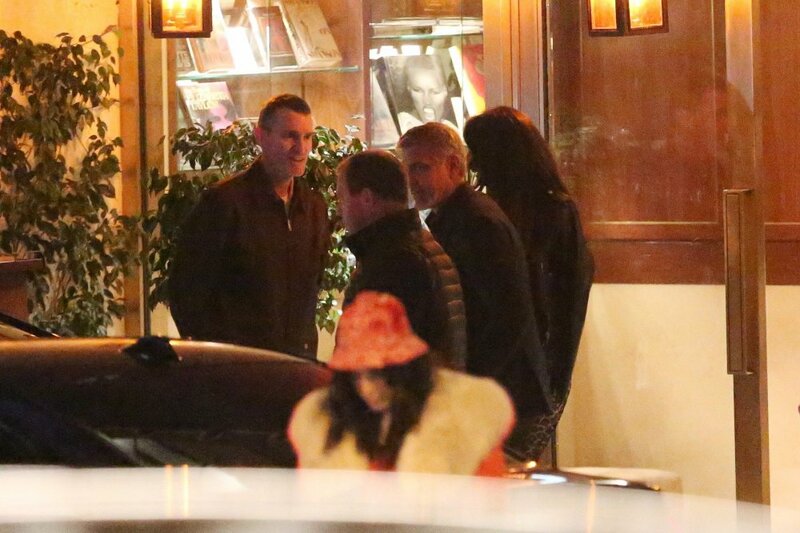 RadarOnline tried a similar tactic last week after Amal was spotted out to dinner with Cindy Crawford, whose husband Rande Gerber is George’s close friend and business partner. The blog maintained that the human rights lawyer grabbed a meal with the model following a “vicious fight” with her husband and to open up about their so-called “crumbling marriage.” Only, Amal and Crawford were both photographed smiling as they exited the restaurant, making it highly unlikely they had been having a heavy conversation about marital problems. Gossip Cop also busted the blog last month after it rehashed an article printed in its sister magazine, the National Enquirer, which alleged that Amal moved out of the home she shares with George in England and took their twins with her. That clearly never happened. At a certain point, the website should just cut its losses and acknowledge that the spouses are still happily married. Well the enquirer caused trouble for Bezos , I think they are hoping to find something to prove there is trouble in their marriage. Bezos is disliked by Trump and so is George the Enquirer and radar on line are owned by a friend of Trump. It's all cheap, tacky stuff, isn't it, just to sell the magazines and pay back the advertisers. GossipCop is simply confirming what we already know. What I've never understood is why on earth people believe the story lines - which no doubt are created by a recent schoolleaver and guided by someone looking for cheap profit and the price of their shares. It is cheap and tacky stuff isn’t it. I just think the people who believe this stuff love being judgmental of others and it’s so much easier to cast aspersions on celebrities. They all lead such decadent lives don’t they?! The Bezos/Pecker story is huge in Washington. It will be fascinating to see if there is a direct Trump or Saudi connection. So true, Donnamarie, especially as Bezos is the owner of the Washington Post - a serious, iconic and fact-led newspaper! party animal - not! wrote: It's all cheap, tacky stuff, isn't it, just to sell the magazines and pay back the advertisers. GossipCop is simply confirming what we already know. I don't believe the 57 year old Actor and wife Amal are getting a divorce. PAN - Amal Clooney and her husband Actor George Clooney are getting what kind of award in Edinburgh? Amal and George are going to be honored for their international humanitarian work by the People’s Postcode Lottery Charity at their Gala on March 14th. it was probably mentioned here months ago on the George news thread.